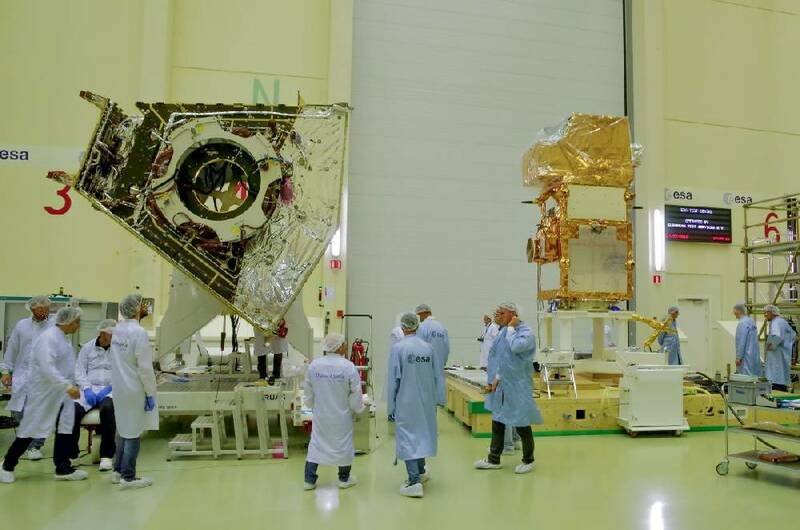 After its arrival mid of June 2016, the packing of the Sentinel-2B satellite last week into its container closes another successful chapter at ETS. The satellite and related equipment are now in storage before the cargo departs from Amsterdam Schiphol to Kourou in French Guiana early in January 2017. Sentinel-2B is an earth observation satellite that is part of the Copernicus Programme. 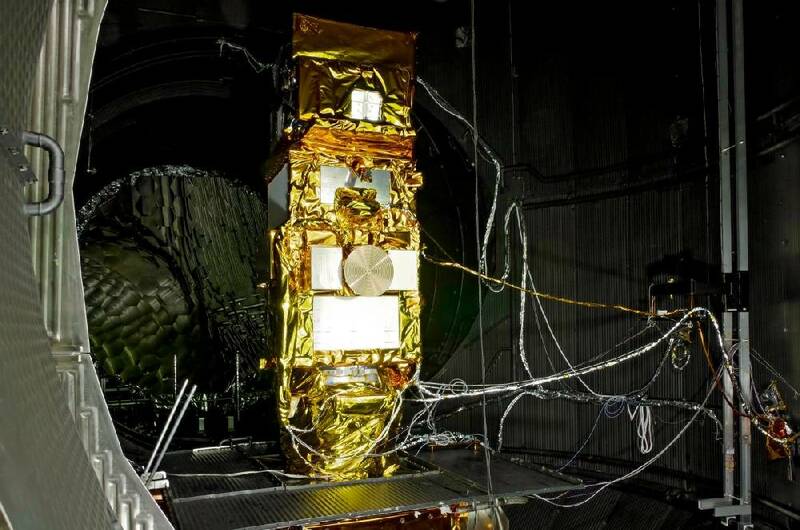 Its mission is to monitor land with a constellation of two satellites (Sentinel 2A launched in June 2015 and Sentinel-2B due for launch in March 2017) in order to provide multispectral high revisit and high resolution optical imagery of all land emerging masses and coastal areas. As prime contractor, Airbus DS GmbH in Friedrichshafen is responsible for the design, development, manufacturing, integration and test of the satellite. ETS is responsible for the operation of ESA's test facilities. Disclaimer: This document has been produced with the financial assistance of the European Union. The views expressed herein can in no way be taken to reflect the official opinion of the European Union and/or ESA. Despite the summer holiday period the activities at ETS are continuing on a high level. For the first time in the company's history the ETS and the ESA test centre host a record number of eleven spacecraft at one time. This includes various flight models of the BepiColombo, Galileo and Sentinel programmes. ETS coordinates and manages the related test campaigns and operates the required facilities for customers Airbus, ESA, OHB and Thales Alenia Space Italy. 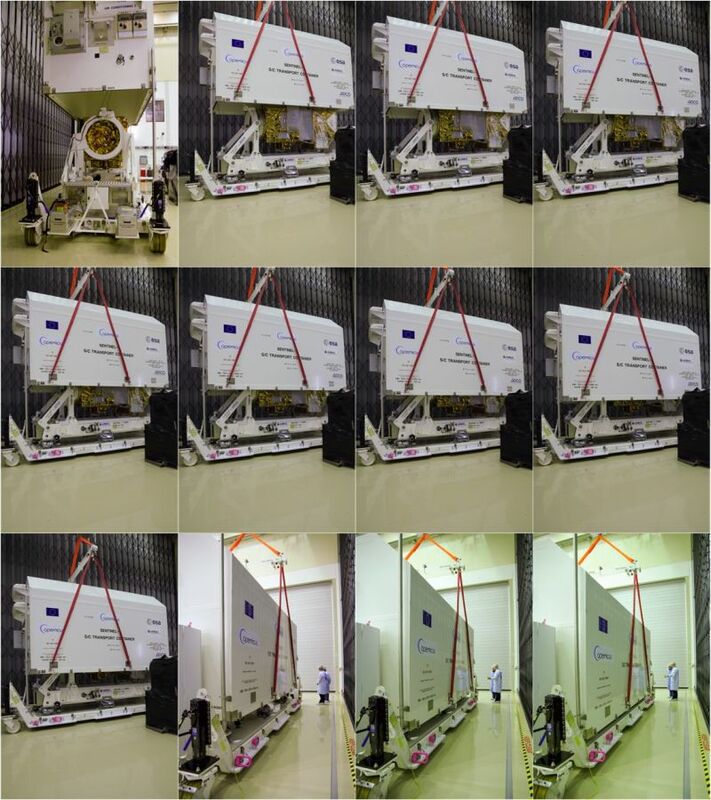 After arrival mid of June, Sentinel 2B just successfully finished thermal vacuum testing inside ESA's Large Space Simulator. Next planned test is the EMC test inside the Maxwell EMC chamber. Sentinel-2B is an earth observation satellite that is part of the Copernicus Programme. Its mission is to monitor land with a constellation of two satellites (Sentinel 2A) in order to provide high resolution optical imagery by a Multispectral Imager. As prime contractor, Airbus DS GmbH is responsible for the design, development and integration of the satellite. ETS is responsible for the operation of ESA's test facilities.